Pharmstandard JSC and Janssen Pharmaceutica NV (part of the group of companies Janssen Pharmaceutical Companies holding Johnson & Johnson), signed a memorandum of intent on the production and supply of medicinal product Sirturo®. One of the leading Russian pharmaceutical plants, Pharmstandard-UfaVITA JSC has received the status of the manufacturer of Sirturo® (Bedaquiline) medicine for the treatment of multidrug-resistant tuberculosis of the lungs in adults (MRL-TB). As a result of the project implementation, Pharmstandard-UfaVITA will conduct contractual production of Sirturo® medicine for the export outside the Russian Federation. At present, Pharmstandard-UfaVITA JSC already produces Sirturo® under a full cycle, covering the need for the medicine throughout Russia, as well as a number of countries of CIS, Eastern Europe and Asia. The market of anti-tuberculosis drugs of the Russian Federation shows a high level of localization of production - production of only 3 international non-patented drugs from 38 products on the Russian market is not localized in the Russian Federation," said Russian Industry and Trade Minister Denis Manturov. "At the end of 2017, total sales of anti-tuberculosis drugs amounted to 5.8 million packs worth 4.5 billion rubles. There is a stable dynamics of increasing the share of antituberculous drugs of domestic production: in 2015 - 77.1%, in 2016 - 83.7%, in 2017 - 86.1%. So, in 2017 the volume of production of medicines for the treatment of tuberculosis increased by 38% and amounted to 4.19 billion rubles." Source. "We are proud to expand our partnership with Pharmstandard which should ultimately help more MDR-TB patients around the world access bedaquiline," said Paul Stoffels, M.D., Chief Scientific Officer, Johnson & Johnson. At J&J, we have a legacy of developing and responsibly deploying innovative treatments to combat drug-resistant infections. Collaboration across, and within, the public and private sectors has been critical factor in this effort, changing the trajectory of health for thousands of people living with TB and other potentially life-threatening infections." Source. This collaboration will expand an existing partnership between Janssen and Pharmstandard. According to the license agreement signed in 2012, Pharmstandard obtained from Janssen commercial rights for Bedaquiline for its use in the treatment of MRL-TB in the Russian Federation and in a number of countries of CIS, Eastern Europe and Asia. Janssen also transferred certain technology and production know-how for bedaquiline to Pharmstandard. In 2013 Pharmstandard became the Marketing Authorization Holder for bedaquiline in Russia. Janssen and Pharmstandard are also partners in Bedaquiline Donation Program, which involves the provision of therapy in Russia and a number of countries of CIS, Eastern Europe and Asia. "Russia has shown strong leadership in the fight against TB. In November last year, the Russian Federation hosted the first-ever WHO Global Ministerial Conference on Ending TB. 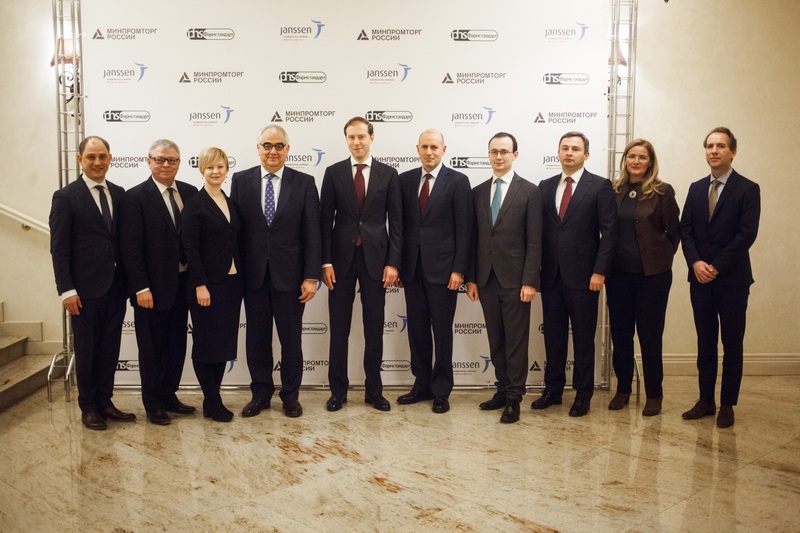 The expanded collaboration with Pharmstandard is another important contribution the country is making to combat this life-threatening disease,” said Ekaterina Pogodina, Managing Director, Janssen, Russia & CIS. Source. 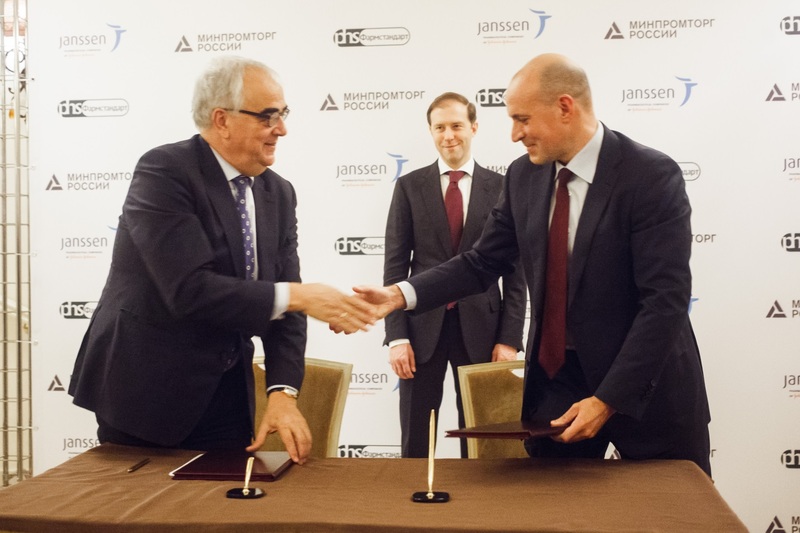 "Pharmstandard welcomes the expansion of cooperation with Janssen in the fight against tuberculosis. Within the framework of the existing partnership, since 2016, the Pharmstandard-UfaVITA plant has established a full cycle of production of the Sirturo® (Bedaquiline) medicine. Pharmstandard-UfaVITA has necessary production facilities for further expansion of cooperation. If we talk about the enterprise as a whole, more than 80 names of pharmaceutical products have already been produced there. The production capacity of the plant exceeds 200 million packs per year. We have a long-term partnership with Johnson & Johnson. In particular, Pharmstandard produces under a full cycle such medicines of Johnson & Johnson as Bortezomib, Darunavir. We are confident that expanding our interaction with Janssen will help patients around the world to receive innovative therapy. And, of course, this will be another step in the development of the Russian pharmaceutical industry and domestic pharma market," said Grigory Potapov, General Director of Pharmstandard JSC. The basis for the signing of the Memorandum was the study of tuberculosis, which has been conducted by Johnson & Johnson for almost 20 years. Bedaquiline received accelerated regulatory approval in the United States in 2012 as part of a combination therapy in adults (≥ 18 years) with pulmonary MDR-TB. It was the first medication with a novel mechanism of action against TB to be approved in the United States in over 40 years. The drug is now included on the World Health Organization (WHO) Essential Medicines List. Since its approval, more than 43,000 courses of bedaquiline have been delivered for patients in need in 95 countries around the world. According to the WHO, there were an estimated 490,000 new cases of MDR-TB and 240,000 deaths caused by MDR-TB related complications in 2016. Later this year, global leaders will convene in New York for the first-ever United Nations High-Level Meeting on Tuberculosis to discuss strategies for advancing progress against TB. Pharmstandard is a leading Russian pharmaceutical company which develops and manufactures high-quality, affordable and innovative pharmaceutical products to satisfy the needs of patients and the Russian healthcare system. Pharmstandard manufactures more than 250 medicines, more than 120 out of which are included in the List of Vital and Essential Drugs. The pharmaceutical portfolio of the company includes pharmaceutical products for the treatment of cardiovascular diseases, diabetes mellitus, growth hormone deficiency, gastroenterological and infectious diseases, neurological disorders, metabolic disorders, oncology, and a variety of other diseases. The manufacturing capabilities of Pharmstandard are represented by 5 manufacturing plants and located across the Russian Federation. Pharmstandard’s state-of-the-art manufacturing facilities correspond to GMP standards and are certified by Russian and EU regulatory bodies. Under partnership agreements with international pharmaceutical companies, Pharmstandard has localized and manufactured high quality innovative pharmaceutical products. Pharmstandard is a leading Russian company and one of the biggest distributors of pharmaceutical products in Russia. Also, the company supplies its products to 17 countries around the world.